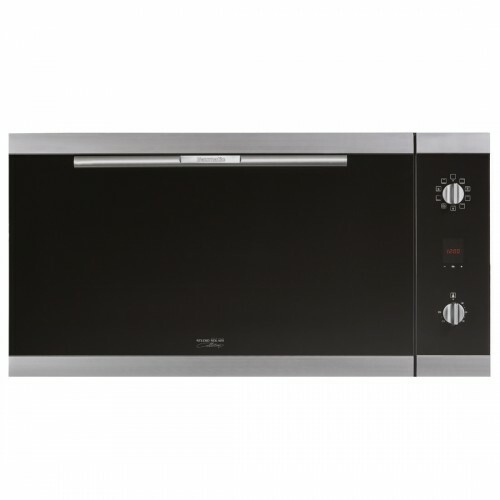 This 90cm underbench is part of the Studio Solari collection and gives a modern look to any kitchen. It has stylish black optical glass with a titanium finish and ergonomic easy to use knob controls. The 9 function oven has a large 91 litre capacity to cater for the largest of families or gatherings. 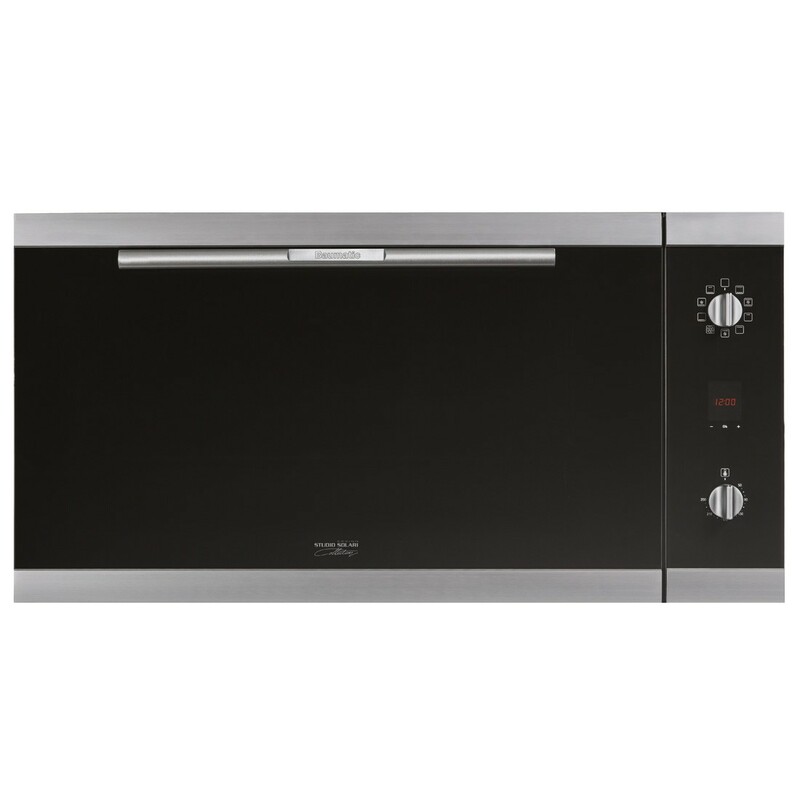 The fan forced function ensures even heat distribution and faster cooking times as well as multi-level cooking. The programmable timer will help you plan your cooking times. A telescopic runner makes it easy and safe to turn, taste or baste whatever you are cooking. The cavity is an easy clean vitro ceramic. The cavity cooling fan technology moves ambient air, cooling and protecting both the electronics of the oven and the cabinets in which the oven is housed.